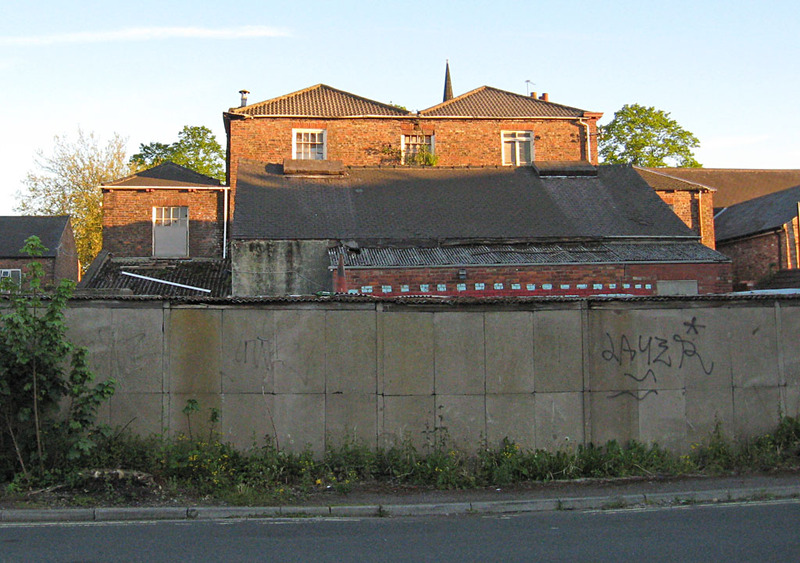 As I’ve just been compiling a page on the Layerthorpe project site about another Working Mens Club, and thinking about dilapidated buildings left empty for years, it’s perhaps a good time to revisit this place, the former WMC on Lawrence Street. I included a page about it some years back. A full four years back, I see. Time flies, doesn’t it. This building has been empty for a surprisingly long time. It’s surprising considering that it could probably be turned into a desirable residence, or residences, and I’m wondering why it hasn’t been. Does anyone know? Presumably it’s now owned by a property developer, rather than the WMC. In this case, the club it used to house hasn’t closed down, but has moved next door into a smaller building. 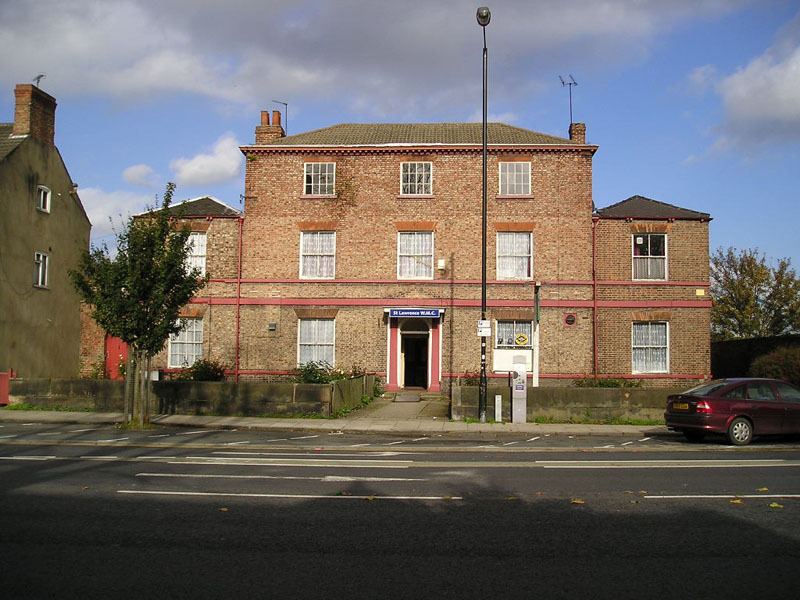 The old WMC was the home of members of the Tuke family in the 19th century, and is Grade II listed. 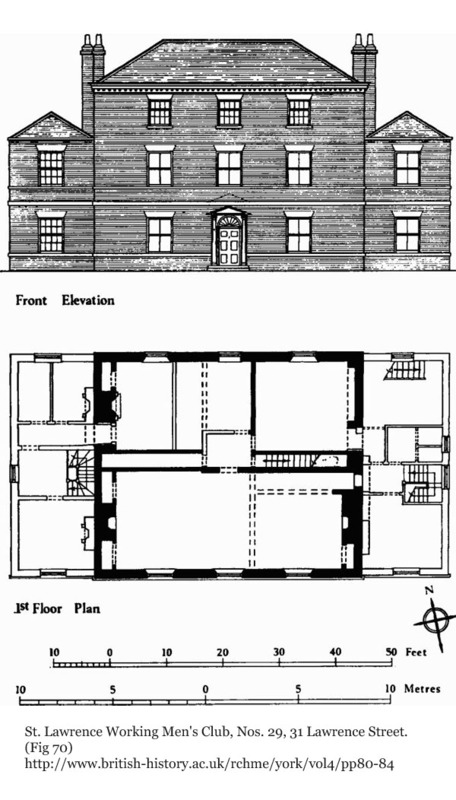 And because it’s listed it appears in a RCHME book of historic buildings, which is conveniently available as a digitised version online. It also includes this illustration. St. Lawrence Working Men’s Club, Nos. 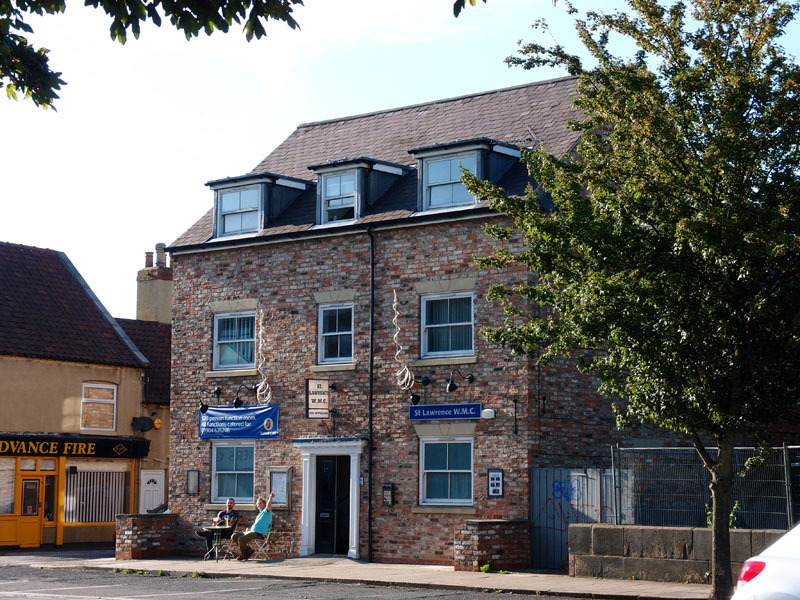 29, 31, was built in the late 18th century, as a simple rectangular dwelling house of three storeys. In 1822 it was bought by Samuel Tuke, who died in 1853; during his ownership wings were added to each side but the W. wing was not complete at the beginning of 1849. The building has been extended at the back and drastically altered internally. ‘Drastically altered internally’ suggests that there will be no delicate or important period details to preserve and worry about when turning it back into a house/flats. Though the building has been extended at the back it seems its once impressive garden has been drastically reduced. When passing one evening a couple of summers ago I headed round to the road and industrial estate behind it to get an idea of what the back of the building looked like. No evidence of a garden now, but there was an impressive buddleia growing out of its brickwork up on the top floor. I must have been standing in what was its garden. If you’d like to see how its garden used to look, please follow the link under ‘more information’ at the end of this page. But for now I’ll leave you with these photos of the front of the building taken at various points over the years. I’ve occasionally passed, stood in roughly the same place, thought ‘oh, no change here then’, and taken a quick photo. The lamppost is always in the way, and the roadside tree has grown a bit, in the intervening years since my first photo, taken on this York Walk of 2004. Comments and further information welcome. Two 19th century photos, one of the exterior of the house and one of its large gardens, can be found on this blog posting from student volunteers working at the Borthwick. By Lisa @YorkStories • 13 August 2015 Buildings, Histories To link to this page's proper location please use the > permalink. « Former Airspeed factory, or buddleia forest? 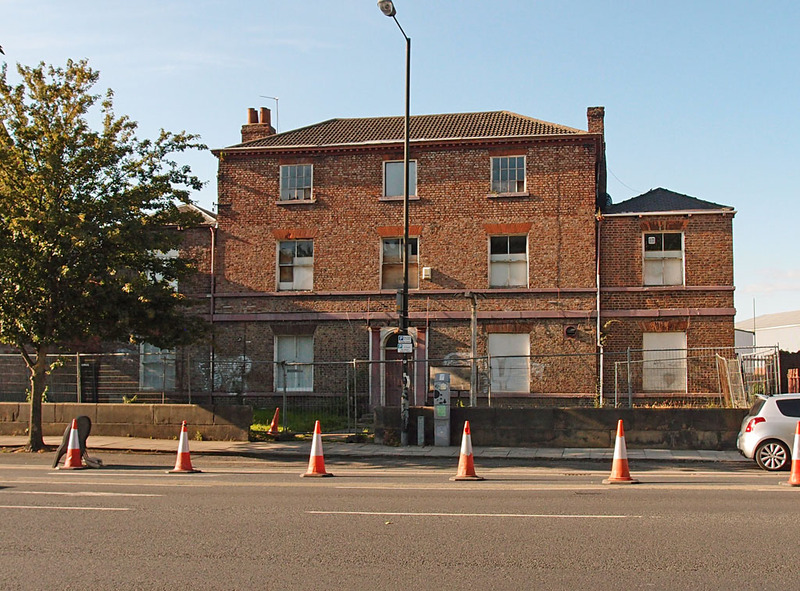 Given that the roof is relatively straightforward…..surely to goodness Someone wants to do Something interesting with this lovely building? While digging over the road a couple of years ago, I watched the owners fill skips with material from inside. Among the items thrown away were many old books! 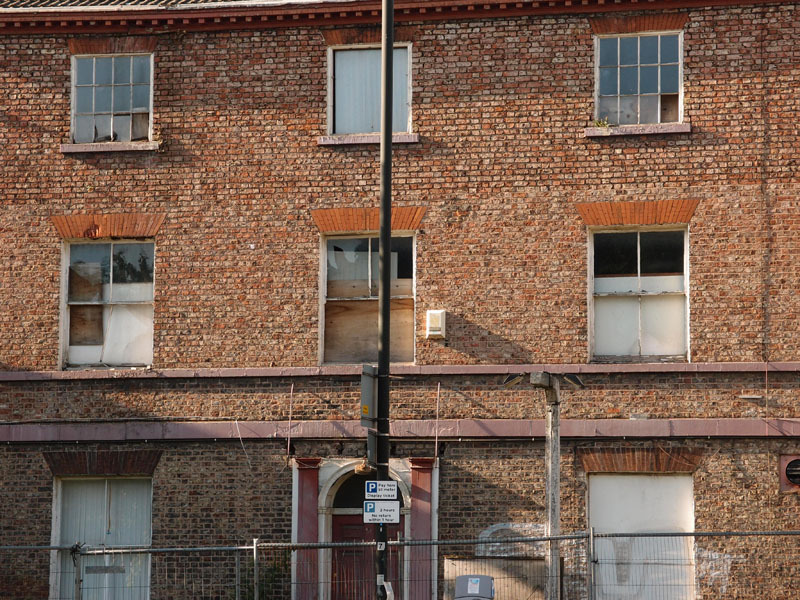 I imagine that it is listed and the owners wish to demolish it, therefore they’ll be waiting for the roof to become ‘unsafe’, allowing them to demolish it. Sadly, this is very common. 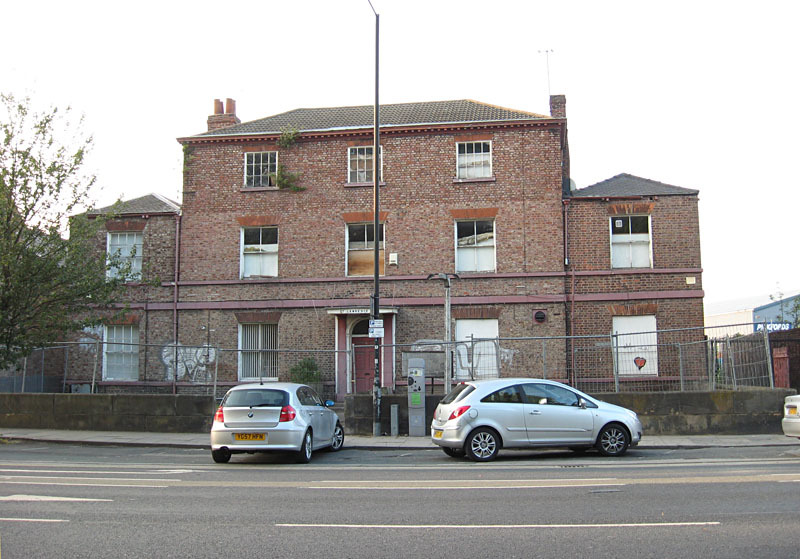 Interesting … The Press reports today that local developers S Harrison have submitted a planning application to convert the building to student accommodation: see this link. Same company recently revealed plans for Groves Chapel. I’ll look out for the application on the CYC online system and add the link once it’s open for comment.